When we carry out investigations at public houses we often arrive shortly before closing time to get a feel for the location whilst it is in its natural operating state. Often, the patrons will have a short chat with us, sometimes discussing their own views and experiences of the paranormal. This was the case during an investigation carried out by Derwent Paranormal at a North Derbyshire public house where shortly after the investigation we were emailed and asked to take a look at Sutton Scarsdale Hall by a couple of the pubs patrons. From our own experiences of the location from previous day trips we thought it unfair to commit either of our teams to an overnight investigation without first having the opportunity to explore the place in daylight. Easter Monday was an ideal time to both meet the team members and their families as well as participate in a field trip at Sutton Scarsdale Hall. We had anticipated only spending up to three hours there but ended up spending in excess of six all of which were in daylight. 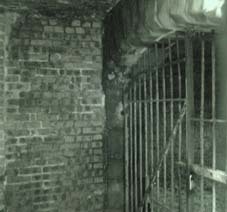 Sutton Scarsdale Halls most haunted location is known to be the cellars but for the past two or three years these have been well and truly caged off thereby preventing any unauthorised access. After careful examination of the property we discovered an iron grill which permitted a minimal amount of light into the cellar. Since the grate was only about 500mm above ground level it was only possible to partially insert a video camera by lying flat on the ground and since the bars were all sturdy it was physically impossible for anyone to gain access to the cellars via this way. We were all therefore amazed when we caught on video what appeared to be the shadow of a human being moving around the cellars, especially since the cage surrounding the cellar was still securely locked preventing any human access. All in all we had an extremely interesting visit and cannot wait to return to this very active location. Although we made another couple of further visits to Sutton Scarsdale Hall during 2005 these were little more than an opportunity to find out a little more information about this derelict building. 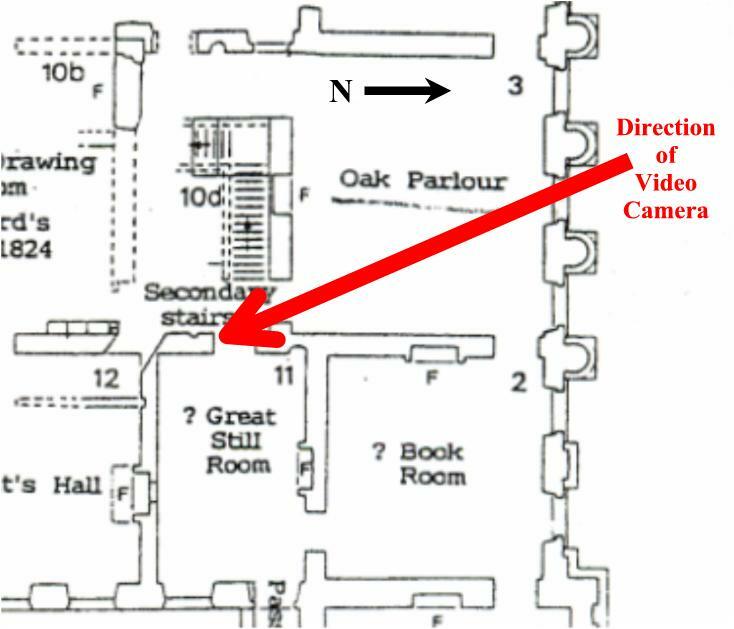 What was far more important to us was to try and find rational explanations for the shadow that had been captured during some innocent filming outside and to see if we could detect any further movement in the cellars. To try and explain the shadow, we firstly had to find the approximate position of the sun when the video was taken. Since the footage had been taken during the Easter break in 2005 we decided to once again visit the property during the corresponding break in 2006. Now we are of course fully aware that Easter moves from year to year but with the weather being as it has been in this part of the UK it would have been impossible to say exactly where the sun was due to the cloud cover. However, on this occasion we were fortunate to have a break in the cloud at the right time and can now categorically say that what can be seen on the video footage can not be caused by a human casting a shadow from the sun. We once again tried our cameras in the cellar and are currently broadcasting the short pieces of video on our webcasting site. On this occasion we were more suitably equipped to feed our cameras further into the cellar but sadly had insufficient infrared lighting to enable us to capture any conclusive evidence. We will be addressing this problem over the next few weeks and revisiting the location shortly. Whilst trying to take some still shots in the cellar however, one of our team members was convinced that footsteps could be heard emanating from the darkness. As stated in the report from our previous visit however, the access to the cellar is completely caged off so it is impossible for any human to be in there. That is of course, if we ignore the legend of a tunnel which is said to go from the cellars to a nearby wood. 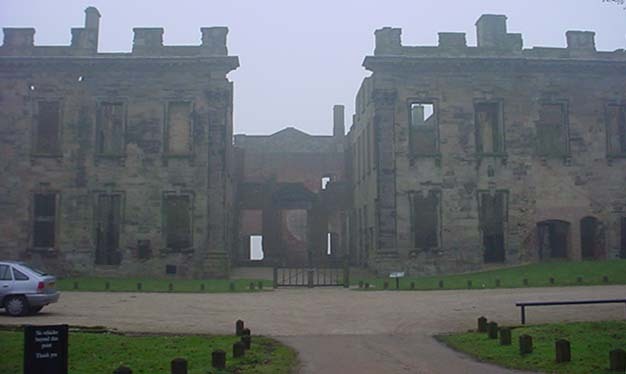 If we step back in history 1000 years we find that the land upon which Sutton Scarsdale Hall now stands belonged to a Saxon nobleman called Wulfric Spott who founded the Benedictine Abbey on the banks of the River Trent at Burton. On his death in 1010AD the lands at Sutton Scarsdale were left to the Burton monks. It has long been a legend that a tunnel links Burton Abbey with Sinai House some three miles away. Is it just coincidence that a similar legend is connected with Sutton Scarsdale? Especially if we also take into consideration that one of the ghosts seen in the woods at the other end of the tunnel is that of a monk!